After Admiral Rogers mistakes a pretty young Nurse for Binghamton's wife, McHale and Parker must hustle to keep the situation a secret from Binghamton's real wife, who has come to visit the base as part of the Women's Navy League tour. Angry after another mishap with Parker, Binghamton assigns the Ensign to coast-watching duty in a hazardous location. But he quickly changes his mind, when he finds that Parker may be the only source of his extremely rare blood type in the South Pacific. After learning that his stateside employer has closed down, Binghamton lands a job as an insurance salesman, under the condition that he sell life insurance policies to the 73 Crew. But The Captain's high-pressure sales tactics prompt McHale and the guys to work up a plan to get back at him. In an effort to get the goods on the 73 Crew, Binghamton lures the boys into the hospital, under false pretenses, and has them injected them with sodium pentothal - Or 'truth serum' - Which causes them to tell him everything he wants to know. McHale and Parker must then work up a plan to get them off the hook, by literally giving Binghamton a dose of his own medicine. #5 - Hello, McHale? Colonna! 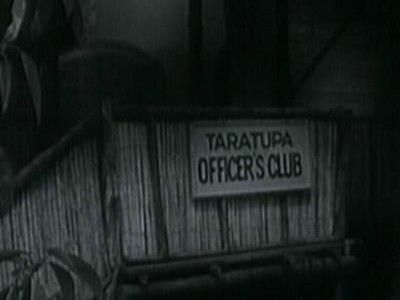 After running into Jerry Colonna, in New Caledonia, McHale and the guys talk the bug-eyed, mustachioed comic into making an unscheduled stop, for a show, on Taratupa. But, when they learn that the base doesn't qualify for a Special Services show, they must make some special arrangements for an 'epidemic', at the base hospital. Binghamton panics, when he learns that Naval Intelligence is on it's way to investigate the disappearance of a $1000 jade necklace, which he bought with funds 'borrowed' from the Officer's Club. 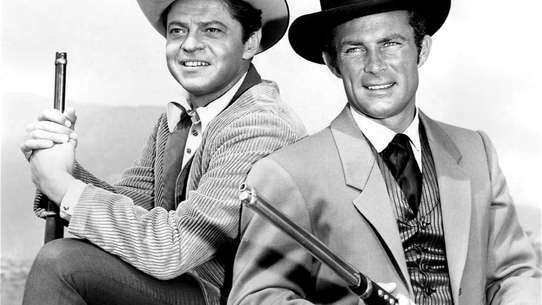 Then, after the necklace turns up, Binghamton tries to frame McHale and his men with the crime, in order to cover his tracks. #7 - Will the Real Admiral Please Stand Up? Parker takes full advantage of his situation, when he's temporarily promoted to Admiral, so that he can fill in for Admiral Rogers, in negotiations for the drilling rights in an oil-rich island nation. 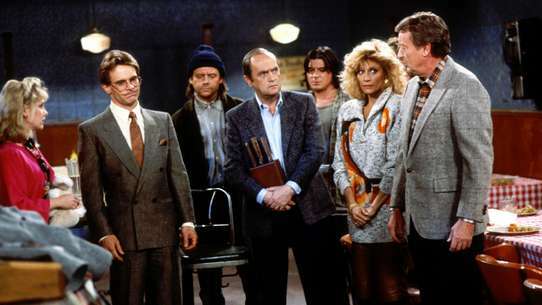 McHale and the boys cook up a scheme to keep Binghamton from building a new Officer's Club on McHale's island. Binghamton’s “No-Fraternization” policy forces McHale and the boys to find a secret location for a big party they’ve planned, with the Nurses. But Gruber’s pet parrot spills the beans, to Binghamton. Marooned on a supposedly deserted island, for their mandatory survival test, Parker and Binghamton are captured by a Japanese patrol. 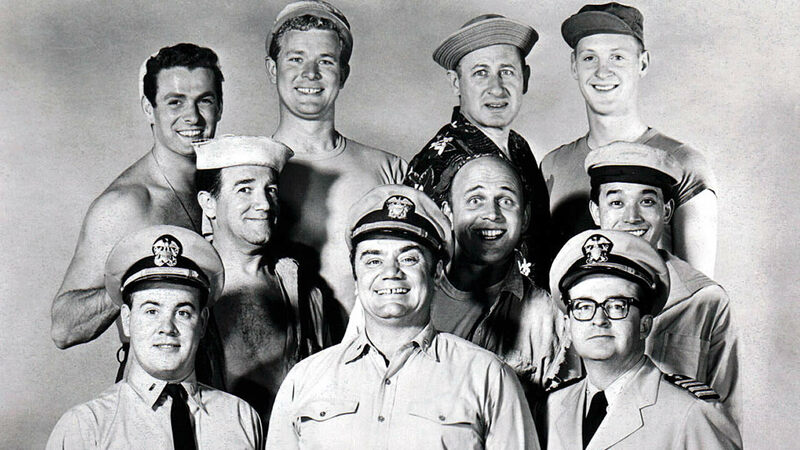 McHale and The Crew, on their way to New Caledonia, to try out for the Navy talent show, are captured, as well, when they drop in, to check on The Captain and Parker. They must all then utilize their various talents in a plan to get out of the situation. After The Captain has his annual physical exam, the guys see an opportunity to get him out of the way for a while, and 'doctor' his X-rays to make it look like he's dying. But the plan backfires, when - In an effort to go out a hero - Binghamton volunteers to lead the 73 Crew on a dangerous mission to destroy an enemy fuel dump. In an effort to gather evidence of any shady activities, Binghamton appoints Carpenter as the 73's new Executive Officer, and makes Parker the base's Laundry Officer. After Parker fouls up, McHale and the guys try to help him out, but Carpenter catches them in the act, forcing McHale to come up with a plan to get out of the situation, and get Parker his job back. 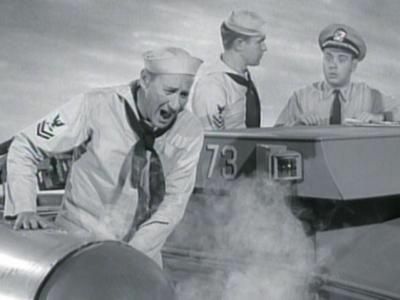 After the guys swipe Binghamton's dictation machine, Parker is nailed for the crime, while in the process of returning it, and The Captain throws him into the brig, pending Court Martial. Parker must then work with McHale and the boys in a complicated plan to try to make Binghamton drop the charges, by making him think he's losing his mind. Struck on the head, during a Japanese raid, Parker develops regressive amnesia, and thinks he's returned to his childhood days at summer camp. McHale and the guys must then try to keep the Ensign out of sight, long enough to think of a way to cure him, before the Fleet Medical Officer arrives, to examine him. Major complications develop, when Gruber and the guys - Desperate to raise $300, for a tonsillectomy for Christy's little girl - Try to pass off a 'paint-by-numbers' portrait as a genuine 'Claude Gauguin' - Supposedly painted by the brother of the legendary French Artiste. While searching McHale's island for some stolen eggs, Binghamton, Carpenter, and Admiral Hardesty are captured by Japanese soldiers, drunk on the egg nog made from the stolen eggs. But they're soon rescued by the Easter Bunny, on his way to an Easter egg hunt, supervised by McHale and the guys, for some native school children. Binghamton tries to frame the 73 Crew for the manufacture and sale of illegal liquor, and has them all thrown into the brig, pending an investigation. But, with a little outside help, McHale and the guys manage to escape from jail, and execute a complicated scheme to make The Captain look like a lunatic, in the eyes of the Fleet Legal Officer. In response to a letter from Gruber and the guys, a glamorous movie star makes the trip to Taratupa, with a plan to create some publicity for herself. But her scheme soon goes awry, and someone else winds up grabbing all the headlines. Gruber and the guys find that there is money to be made, in the lucrative German war souvenir market, and, after they, McHale, and Colonel Harrigan are all captured by a German patrol, during a souvenir-hunting trip to an off-limits town, Parker and Fuji collaborate on a clever plan to rescue their comrades. After both Binghamton and Harrigan catch McHale and the guys having some unauthorized R&R in the home of an Italian Contessa, they have no choice but to go along with the plan of having Parker pose as the Contessa, in order to try to fool General Bronson, and keep everyone out of trouble. Parker - A dead-ringer for an important British General - Agrees to put his life on the line, by posing as The General, to divert the attention of spies, in New Caledonia, while the real General carries out a crucial invasion of a Japanese-held island. The French thief and con-artist first talks Binghamton out of a load of Navy supplies, then cons Parker into helping him get them to New Caledonia. McHale and the guys must then follow, rescue Parker, and recover the supplies. Binghamton has the evidence he needs to court martial McHale and the 73 Crew, and has summoned the Judge Advocate General, to present it. McHale and the Crew must then execute a very complicated plan to get Binghamton to reveal the whereabouts of the evidence, so that they can get rid of it, before the JAG arrives. #24 - Who Was That German I Saw You With? During an attempt to impress a famous War Correspondent, Binghamton is taken prisoner by a German patrol, who have disguised themselves as American Sailors. 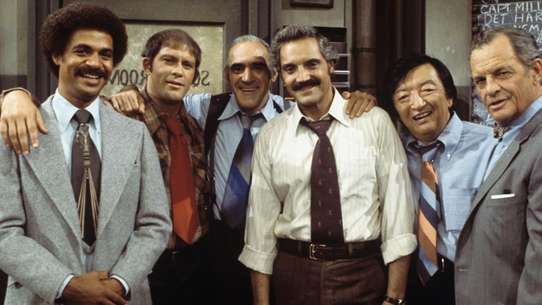 After Parker is also captured, McHale and the guys come to the rescue, and wind up having their picture on the cover of a popular magazine. Parker requests a transfer, when he feels he's not getting the respect he deserves. So, to change his mind, and build up his self-confidence, McHale puts him in charge of an important test mission. Writers: George Carleton Brown, Frank Gill Jr.